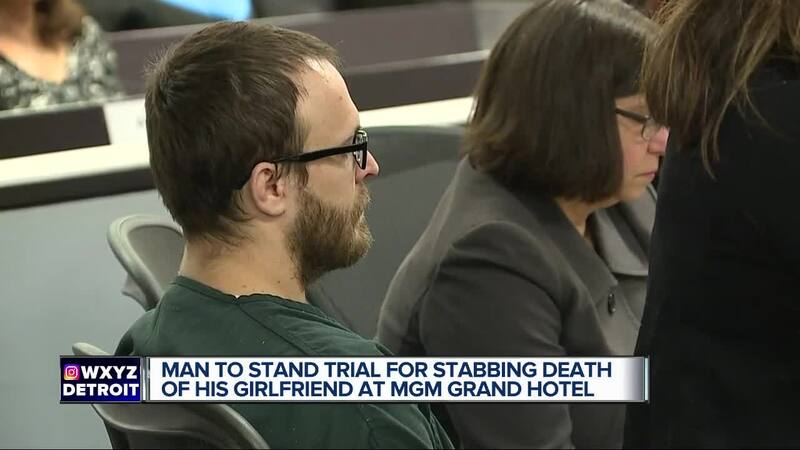 A man who is charged with stabbing his girlfriend to death and biting off her nose at MGM Grand Detroit hotel will stand trial, a judge ruled on Tuesday afternoon. Daniel S. Michalak, 33, is accused of stabbing his girlfriend, 27-year-old Tia Vellucci, inside the hotel on Tuesday, May 29. When authorities entered the room, they found Tia's body with multiple stab wounds and a bite to her nose. Michalak was arrested and has been charged with Assault with Intent to Murder, Assault with Intent to Maim and Assault with Intent to Do Great Bodily Harm. Wendy Vellucci, Tia's mother, says the last two years of the couple's relationship had taken its toll on Tia who had showed her mother berating text messages from Michalak.